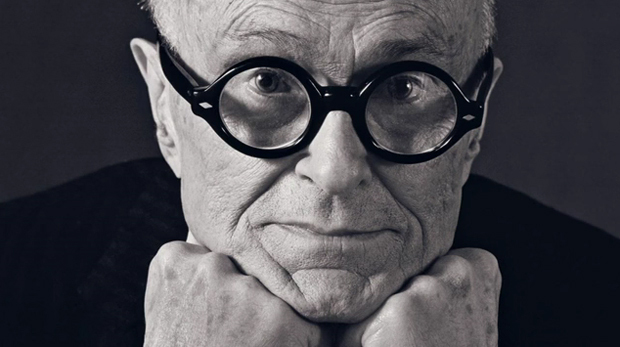 For what seems like months I’ve been itching to bring forward the work of influential American architect Philip Johnson, however I wanted to both present a project that did his work justice and secondly share something that hadn’t been seen or spoken about already. So late last night as I was dwindling down my time before bed I decided to check for any developments online and in the process stumbled upon this real treat of a video, which both inspired me and left me debating whether sleeping was necessary. In the end I weakened and decided that sleep was the best option, so my night consisted of hoping and praying that none of the larger sites picked up and talked about this short film. I say this because the ethos of Philip, which the film talks upon, is one that is close to our own hearts here on the site, this being a sense of developing a community of designers/creatives. Philip strove to both educate the younger generation of architects and learn from these himself, which I think is what defines him as such an influential figure, he took it upon himself to always know what was fresh within the industry. The glass house is obviously quite a historic piece of architecture which has such clarity and poise in it’s environment, so it’s fitting that so many world famous architects were nurtured in the seminars that Philip hosted at his beautiful home. The film below is a real testament not only to the work that he completed in his lifetime but the person he was and the influence he held on so many around the world. It’s regrettable to admit that I haven’t yet had the opportunity to visit the glass house yet, however I imagine it to have quite a tranquil atmosphere which is often present in other architecture of a vernacular nature. I’ve not seen the house look so elegant and polished as it does in this video, so if you’ve not set your eyes on it before you are in for a real treat. Watch on below and join with us as we help celebrate the work of a visionary architect who’s legacy will live on forever more.